Tom Ford developed the Tom Ford for Men Skincare and Grooming collection based on the products and grooming regimen he uses himself - a regimen that is simple, straightforward and intuitive. This collection includes multifunctional skincare products to calm, comfort and mattify the skin. Grooming products to balance imperfections and achieve a polished look. This season introduces the Tom Ford for Men Brow Definer, essential for effortlessly grooming brows. For Mr. Ford, grooming is something that adds great quality to life. Tom Ford for Men is his tightly curated collection of essential tools a man needs to look and feel his best. Definition and symmetry are essential to the Tom Ford face. 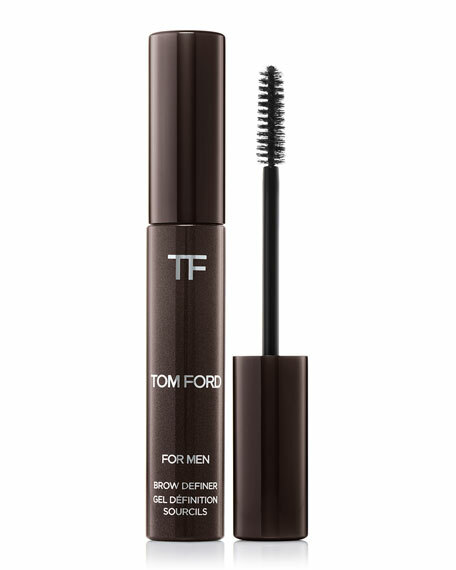 The Tom Ford for Men Brow Definer defines brows into a natural, healthy shape essential for the polished and sophisticated look preferred by Mr. Ford. With an easy-to-use wand, the lightweight gel easily glides onto hair to tame and set brows into place. In a universally flattering tinted hint of color, the Brow Definer adds shine and can be used on all hair colors and skin tones. Use brush to define and shape in the direction of brow growth. Comb through to blend and smooth.